1. 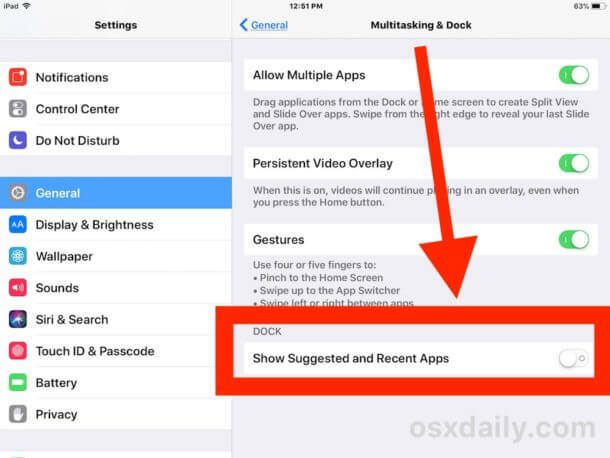 Firstly, I Want to Tell You How to Add More Applications to your iPad Dock. You can add up to 15 apps and this is a great news! If you use lots of apps often, the ability of adding more of them to the iOS Dock can be helpful. You won't search for a necessary application for ages switching different screens. All of them will be right on the desktop. This feature is available only for iOS 11, so please upgrade, if you use iOS10 or an earlier version currently. This feature influences only usability, but not the overall performance of your iPad. Anyway, it makes a good sense in case you use some apps more often, and there are no strict Dock limits now! You can drag-and-drop items to the Dock panel, as usually, so adding icons is as simple as it's always used to be. I bet you have already done that on your latest iPads, but now the number of icons is extended to 15. As for me, this is one of the best features of iOS 11, as I have such applications, and it's much more comfortable to access them through Dock. Tap, then hold a bit on any application icon. It will slightly enlarge. You can tap long as well, in this case the item's icon will jiggle. Drag the necessary application to your Dock at the screen bottom. Find the best place for it between old icons where you want to place it. You can repeat the same thing for other applications. The maximum number of them is 15, as I've already noted above. Note that you'll have just 13 free places for new apps, if the 'Recents & Suggested apps' feature turned on your iPad Dock. They will be situated on the left, while two icons of the feature will always be on the right. To enlarge your free space, just disable this feature and you'll have 15 free places for your favorite apps! The icons will become of a smaller size after you add many of them to Dock. It behaves like an ordinary Dock on Mac. The more apps there are, the smaller icons will be. Dock can be also moved across the iPad screen. I personally prefer its horizontal orientation, as icons look too small within a vertical one. 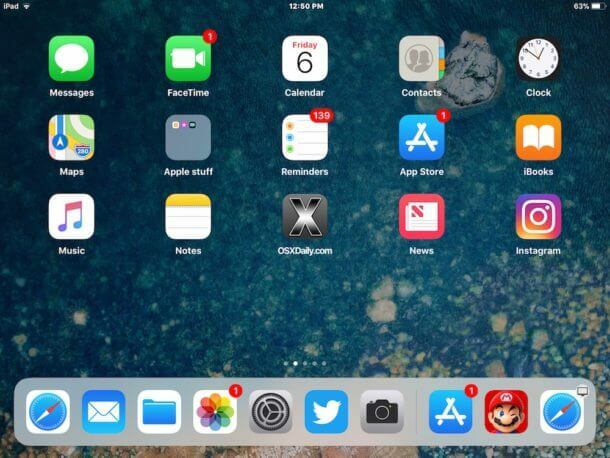 If 13-15 applications is not enough, you can continue improving your Dock and add a folder of the iOS applications icons into it. So, keep the necessary icons in this folder and you'll have a quick access to them anytime you want. 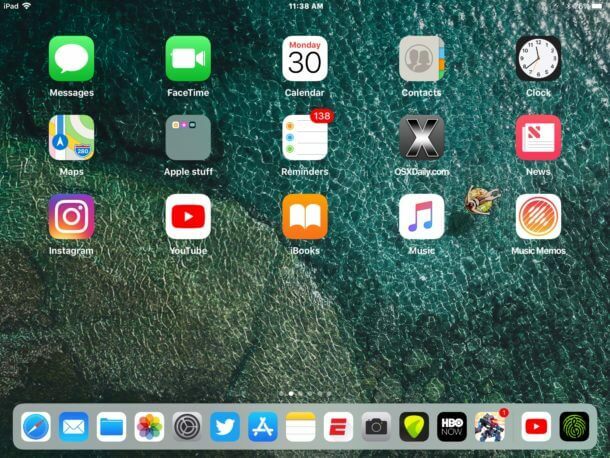 How to remove applications from the iPad Dock panel? Removing items from your Dock is a similar process, as you should drag-and-drop them out of Dock. Tap and hold on some app, drag it out of the panel, wait until this icon starts jiggling or gets slightly bigger. Remember this way and don't try to hit the X button! This will delete the application from your device, and I doubt that uninstalling it is what you really need. Some people try minimizing or removing all apps icons from the Dock on iPad. But I can't say that there is a point in doing that... Dock will be still visible at the main screen even without applications. As a conclusion to this part of my article, I'd like to remind that adding and removing apps to/from your iPhone Dock is the same process as for iPad, but it is limited to 4 apps here. As for Mac, it allows having a great number of icons in the Dock panel. 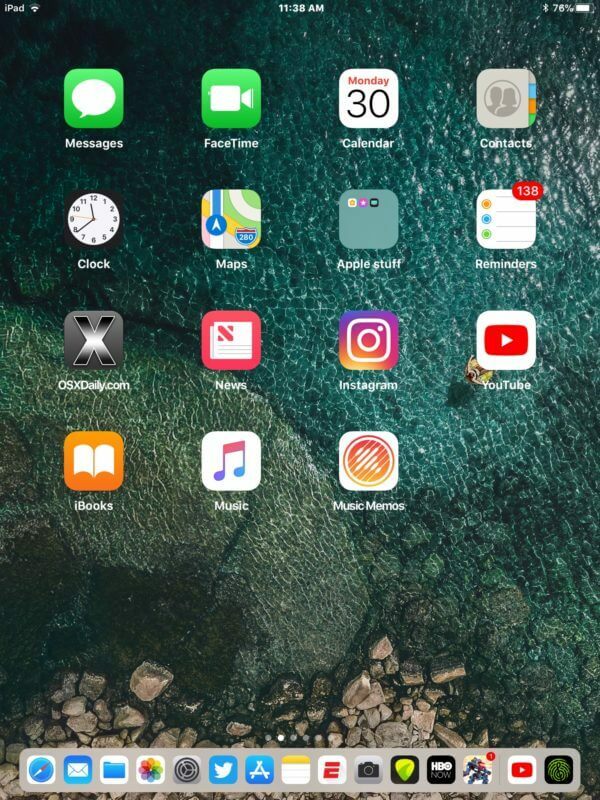 I am glad that Apple has increased the number of icons in iOS 11, as iPad gets even closer to becoming a real mobile computer and an effective helper. I hope that they will do the same for iPhones someday. It would be fantastic to have a handy powerful machine in the pocket, wouldn't it? Welcome to the second part of my article in which I'll tell you how to get more free space on your Dock. Remember, I said that you could add 2 more icons, if you remove 'Recent and suggested' apps from your iPad Dock? Well, it's time to do that! This section is situated on the right side and is delineated with a separator line. The majority of Apple users are pleased to have this feature, as it allows accessing to the recently used applications quickly. It is comfortable, and it shows the most often used programs. So, it'll surely be handy for those people who enjoy watching their Instagram and Facebook every 10 minutes. All social networks will be found in one place. Anyway, if you've decided that you don't want to have this feature on your Dock, it can be disabled. This can be done for minimalism, or if you just don't use this tool but prefer to browse your iPad apps manually. Note that capability of 'Suggested & recent' apps is available to iOS 11 users or later. It's not available for earlier iOS versions or other mobile Apple devices. After disabling that function, these apps won't appear in your Dock and will be hidden from it. Go to 'Settings' on your iPad, pass to 'General', choose 'Multitasking and Dock'. Find the line 'Show Suggested & recent apps' and toggle it off. This will hide the feature. After you turned off this setting, you will notice that there is more free space in the Dock panel now, if you go to the Home screen again, or open the 'Control center'. What is else about this useful feature, it is using your habits of using applications, they are gathered for some time, so it offers really the most favorite apps. They may change sometimes, it depends on what programs you're using. Toggle on the line 'Show Suggested & recent apps' and it will unhide! You can return to the iPad Home screen or its Control center to see if the feature is back to the Dock panel and is visible again. You may ask what's about another Dock icon which appear on the right side sometimes. 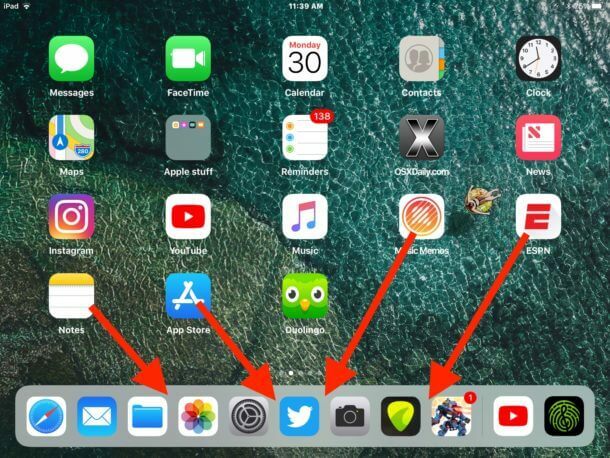 If you turn this feature off and still find an icon that appears on the right side of your iPad Dock occasionally, like I've shown on my screenshots, it can be Handoff. This tool helps to continue the application sessions across your Apple devices (iPhones, Macs or MacBooks). Just disable it, if it's not necessary, and continue using Dock the way you like! Here is it. 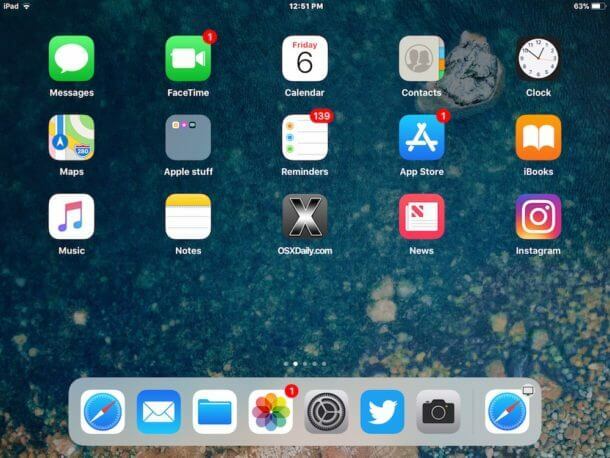 I hope that my article will help you to take full control over your iPad Dock! Enjoy!